Do you suffer from any of these uncomfortable conditions? 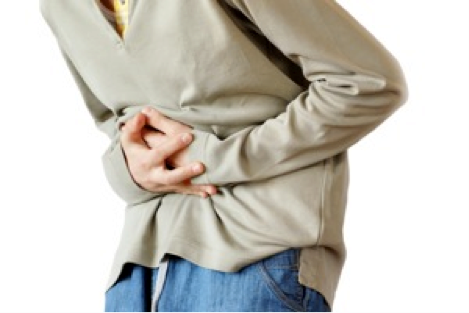 Irritable bowel syndrome (IBS or spastic colon) is a diagnosis of exclusion. It is a functional bowel disorder characterized by chronic abdominal pain, discomfort, bloating, and alteration of bowel habits in the absence of any detectable organic cause. In some cases, the symptoms are relieved by bowel movements. Diarrhea or constipation may predominate, or they may alternate IBS may begin after an infection, a stressful life event, or onset of maturity without any other medical indicators. Although medical experts say there is no resolution for IBS, I totally disagree-and so do my patients. There are treatments that attempt to relieve symptoms, including dietary adjustments, supplementation and medication. If you want to get rid of it you need to find out why you have it in the first place. The answer will surprise some and most already know but refuse to believe it. We find it and tell you. Most patients can start feeling relief in 2-6 weeks and following advice within 3 months can be clear of symptoms. There are a few “deal breakers” that may need to addressed first that prevent you from getting better. I look for those first to make an accurate diagnosis. 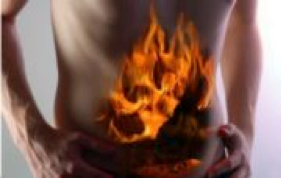 Several conditions may present as IBS including celiac disease (gluten intolerance), Fructose mal-absorption, mild infections, parasitic infections like giardiasis, several inflammatory bowel diseases, functional chronic constipation, and chronic functional abdominal pain. In IBS, routine clinical tests yield no abnormalities, though the bowels may be more sensitive to certain stimuli. The most common theory is that IBS is a disorder of the interaction between the brain and the gastrointestinal tract, and also be abnormalities in the gut flora or the immune system. This is why we perform a very though neurologic evaluation. These so-called experts say that IBS does not lead to more serious conditions in most patients. But it is a source of chronic pain, fatigue, and other symptoms, and it increases a patient’s medical costs, and contributes to work absenteeism. Again as I disagree, digestive issues are the cause of most chronic disease out there like auto immune conditions, thyroid diseases, arthritis, anemia, gastro-esophageal reflux (GERD), symptoms relating to the genitourinary system, psychiatric symptoms such as depression and anxiety, fibromyalgia, chronic fatigue syndrome, headache and backache and many more including something you may have not of heard of COLON CANCER!!! Did you know your gut is also called the 2nd brain? Believe it or not many patients with digestive problems do not even know they have a problem with their digestion because they have no bowel issues. Many times gut issues show up as multiple sclerosis, anxiety problems, inflammatory arthritis, depression, chronic neck or back pain, hormone problems and many others. In kids it can manifest as ADD/ADHD, asthma, allergies (adults too) and autistic disorders.